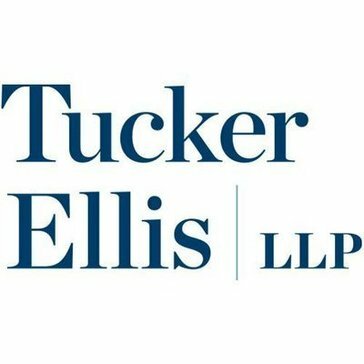 Tucker Ellis LLP is a full-service law firm with more than 200 attorneys practicing nationwide with offices in Chicago, Cleveland, Columbus, Denver, Houston, Los Angeles, San Francisco, and St. Louis. The firm is proud to service a Fortune 250 list of sophisticated national litigation and business clients for whom we individually tailor our client service teams. What Corporate Law Firms solution do you use? Morgan, Lewis & Bockius LLP provides comprehensive litigation, corporate, finance, restructuring, employment and benefits, and intellectual property services in all major industries, helping clients address and anticipate challenges across vast and rapidly changing landscapes. For over a century, we have built our firm based on a simple and enduring premise: We see the world through the eyes of our clients. We immerse ourselves in our clients' businesses to fully understand the context of their legal issues. Our clients know that our every decision from hiring, to shaping our service areas, to expanding our global reach is informed by our desire to better serve their needs. Skadden, Arps, Slate, Meagher & Flom LLP and affiliates offers clients around the globe solutions to the most challenging legal issues in virtually every area of corporate law. Mayer Brown is a global legal services organization advising clients across the Americas, Asia, Europe and the Middle East. Our presence in the world's leading markets enables us to offer clients access to local market knowledge combined with global reach. Osler is recognized for the breadth and depth of its practice in business law and is consistently ranked as one of Canada's top firms. Proactive, pragmatic, experienced, innovative and collaborative, our team of over 400 lawyers is driven by the specific needs of our clients. At Osler, we do everything it takes to maintain our position as one of Canada's leading business law firms, meeting and exceeding the expectations of our clients, lawyers, students, staff and communities. White & Case is a global law firm with longstanding offices in the markets that matter today. With a practice highly attuned to the ever-changing international legal landscape, Sidley has built a reputation for being a powerful legal adviser for global businesses. With 1,900 lawyers across 20 offices worldwide, Sidley maintains a commitment to providing quality legal services and to offering advice in litigation, transactional and regulatory matters spanning virtually every area of law. Cooley is a inovative law firm with 900 lawyers across 12 offices in the United States, China and Europe. Jones Day is a global law firm with more than 2,500 lawyers, including 550 in Europe and 250 in Asia, located in centers of business and finance throughout the world. Nelson Mullins Riley & Scarborough LLP provides advice and counsel in litigation, corporate, securities, finance, banking, mergers and acquisitions, financial services, healthcare, technology, intellectual property, labor and employment, government relations, regulatory, bankruptcy and creditors' rights, immigration, international law, and other needs of clients ranging from private individuals to large businesses. * We monitor all Tucker Ellis reviews to prevent fraudulent reviews and keep review quality high. We do not post reviews by company employees or direct competitors. Validated reviews require the user to submit a screenshot of the product containing their user ID, in order to verify a user is an actual user of the product. Hi there! Are you looking to implement a solution like Tucker Ellis?